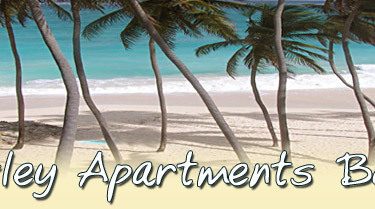 25 % discount on course fees at Rockley Golf Club for all guests staying in the one and two bedroom apartments. 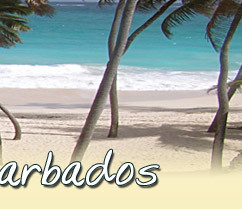 Golf in Barbados is a truly unique experience. By basing yourself at Rockley Country Club you have the best of both worlds. You can compliment your convenient inexpensive rounds with a treat at one of the 3 championship golf courses. 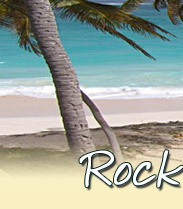 Rockley is a very friendly club with a mix of local members and tourists playing at any one time. The course although challenging is forgiving enough to make a round not too exhausting. At the end of the round the clubhouse offers a very informal atmosphere to enjoy a drink and bar snack. Mulligans clubhouse restaurant offers a good selection of reasonably priced meals. · Weekly passes can be bought or play by the round. · Buggies and club hire available. · Clubhouse serving food and drinks. · Costs around US$51 for 9 holes, US$62 for 18 holes. 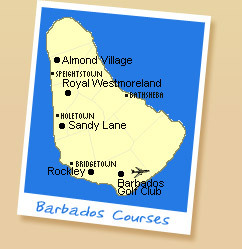 Barbados Golf Club : On the south of the Island a short drive from Rockley is Barbados’s newest championship golf course. Sandy Lane : Connected to the world famous Sandy Lane Hotel on the west coast. Royal Westmoreland : Frequented by Prince Andrew and Ian Woosnam .